ROCHESTER, MN -- Former U.S. House Speaker Dennis Hastert arrived at a Minnesota prison on Wednesday to serve his 15-month sentence in a hush-money case involving revelations that the Illinois Republican sexually abused at least four boys when he coached wrestling at an Illinois high school. The 74-year-old Hastert - one of the highest-ranking U.S. politicians to go to prison - arrived around noon at the Rochester Federal Medical Center, where he will be known as Inmate No. 47991-42. 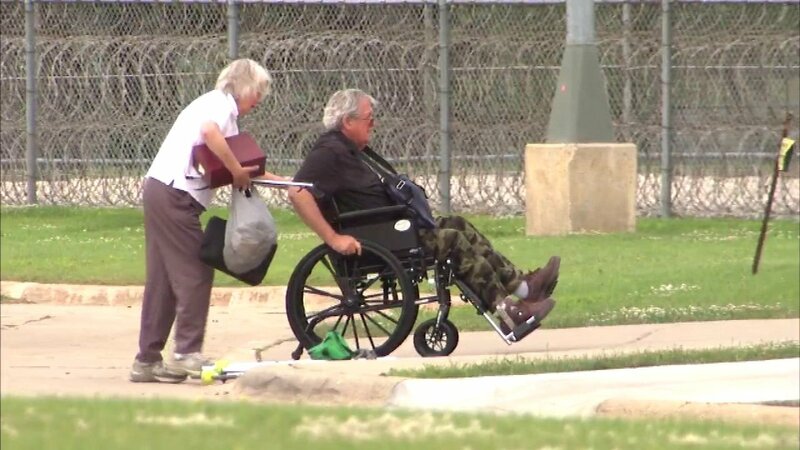 The wheelchair-bound Hastert could be seen partly wheeling himself into the complex between high, razor-wire fencing. A woman followed behind him, carrying crutches. The nation's longest-serving GOP speaker who for eight years was second in the line of succession to the presidency will be subject to the same protocol as other new federal inmates, which typically includes a full-body strip search. The facility, despite its name, has all the features of a prison. It's surrounded by razor-wire fencing and holds around 800 inmates from all security classifications. Among them is Jared Lee Loughner, who is serving a life term for killing six people in the 2011 shooting that targeted and injured former U.S. Rep. Gabby Giffords of Arizona.